My photo of Brandan on the right. 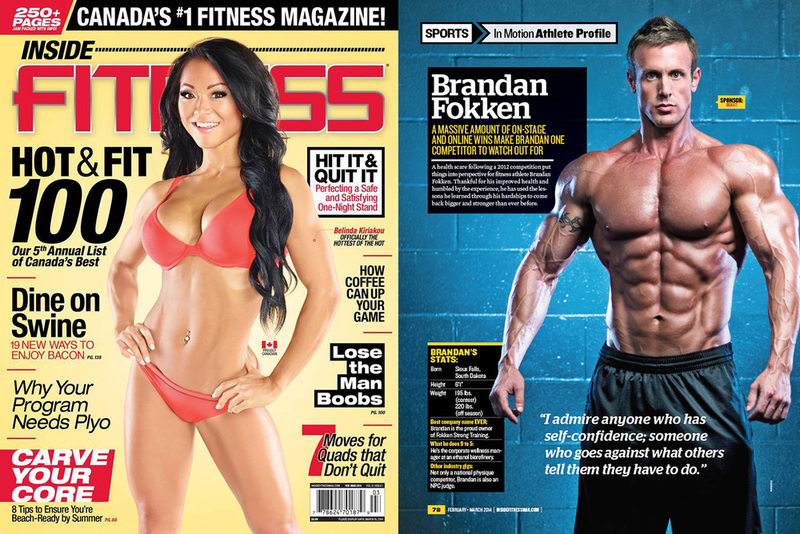 I was just notified that one of my photos of friend/physique athlete Brandan Fokken is in the February/March 2014 issue of Inside Fitness, purportedly "Canada's #1 fitness magazine." Congratulations on blowing up, Brandan! Either this issue is on the newsstands now or will be very soon! Go check it out! You can see the process/behind-the-scenes from this particular photoshoot on my blog here.